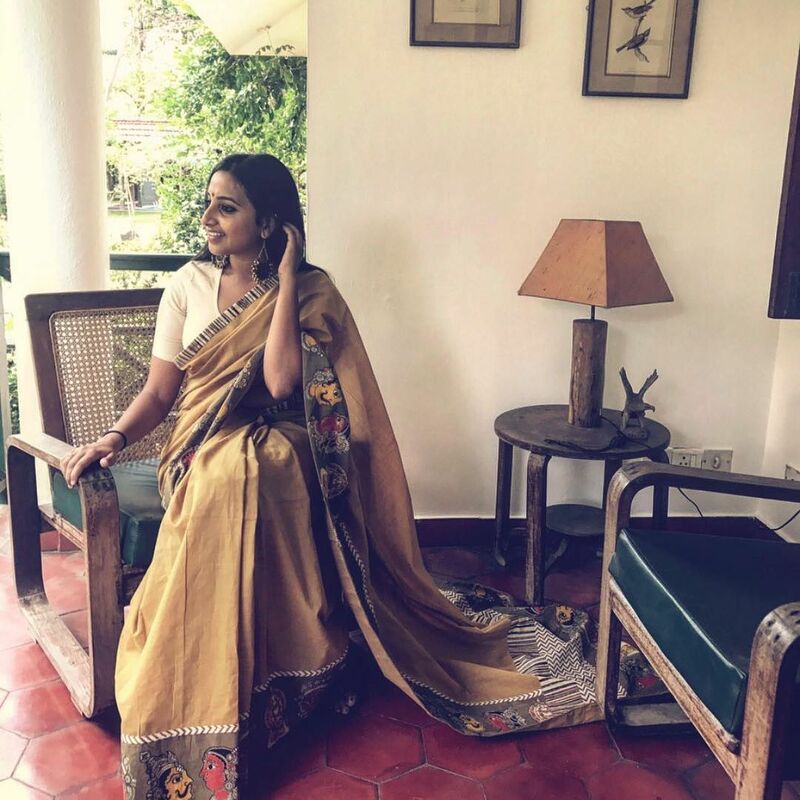 It is not often we get to see a brand that is so endorsed on creating artistic sarees, in which every thread speaks for the rich Indian tradition and culture. 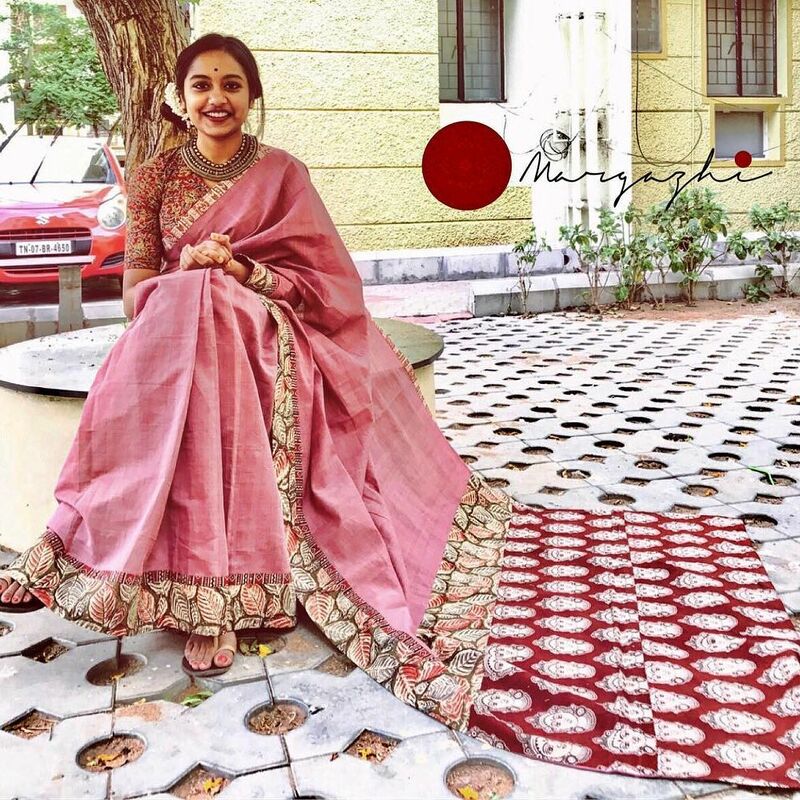 Of course, there are few elite designers like Sanjay garg (of Raw Mango), Anavila who are redefining sarees to suit the present day women, without compromising the true aesthetic feel of it. 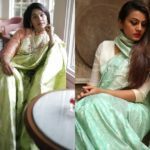 The hitch though, they are high end brands and many may not in a position to spend fortune on their timeless sarees no matter how irresistible they are. That’s why we were so elated when we found the brand ‘Margazhi’ online. 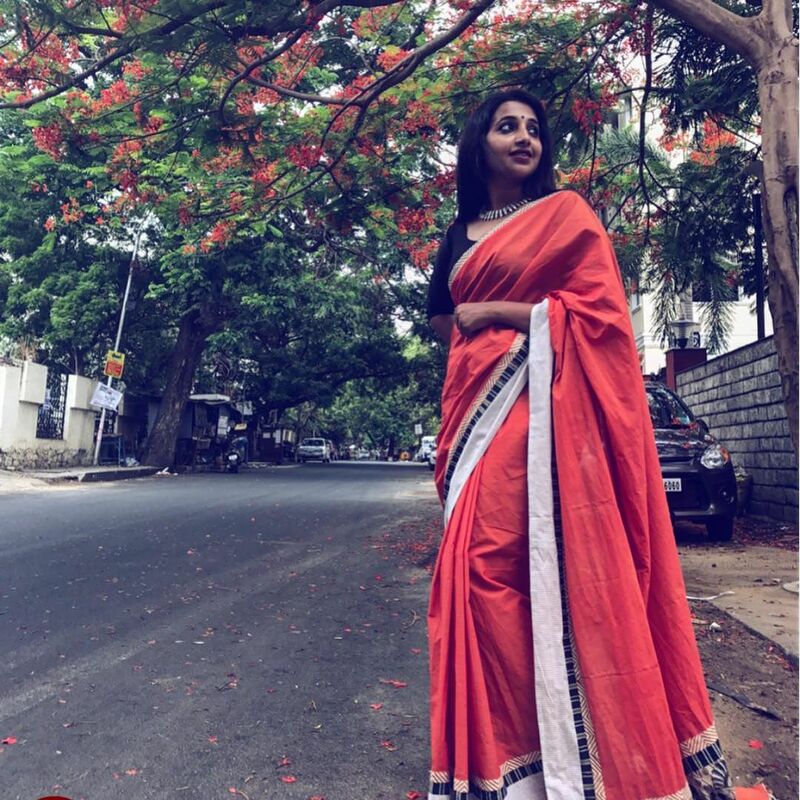 Besides the highly-affordable factor and chic rendition of age old themes, we love how the vibrant, bold and beautiful looking sarees from Margazhi speaks for the ‘class’ we always seek in a saree. It is a pleasure to see their collection and sheer delight to drape it in reality. Are you interested to see their collections? Go ahead and immerse yourself in their classic saree designs. 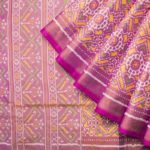 Below are array of ethnic handwoven sarees from their June 2017 summer collection. 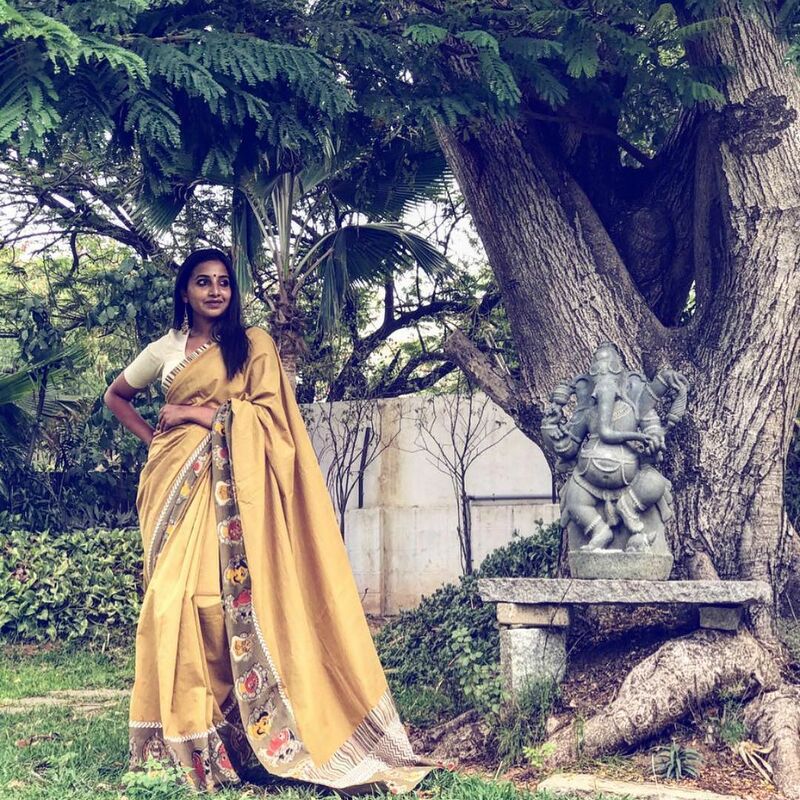 This month, their summer-friendly designs lean more towards simple plain sarees, with bold traditional prints attenuating the border and pallu, to give a warm pleasing vibe. 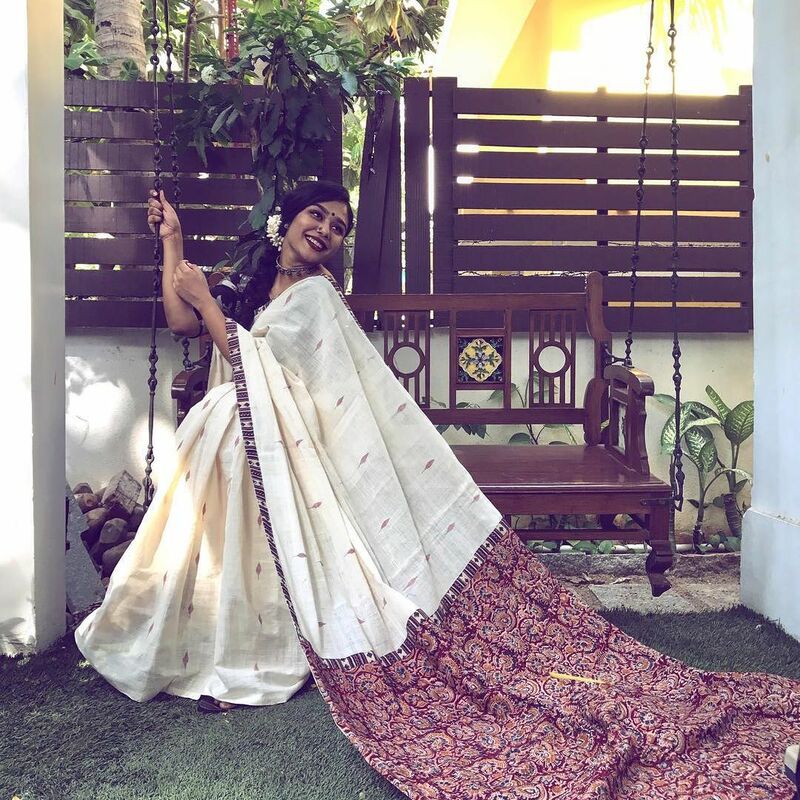 We love how the kalamkari prints takes center stage in most of the sarees. These conventional prints are making their sarees a fine spectacle to behold. Agree? Ever since we spotted this brand, we are so glued to their instagram page for the release of their new range. 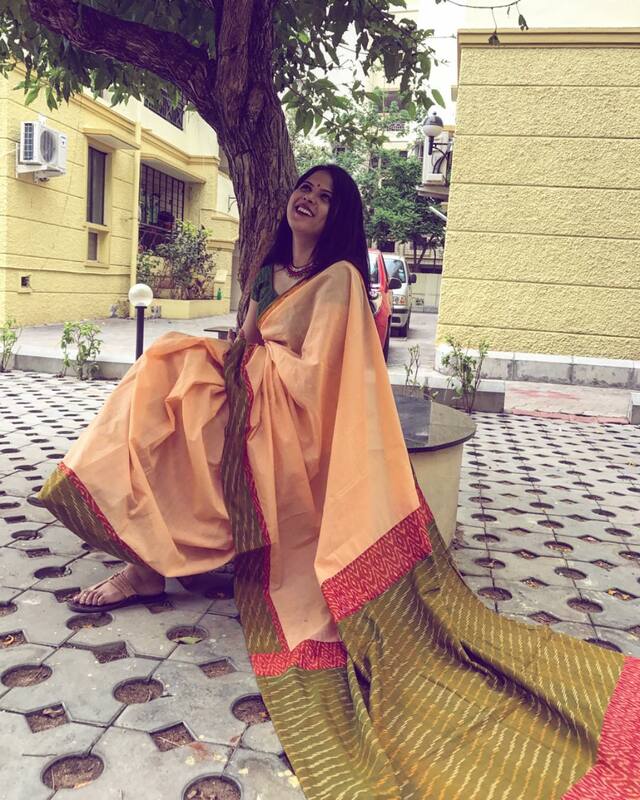 You have got to be quick in order to book your dreamy saree from this label. Because, it will only take few minutes to see the dreaded status ‘SOLD’, under the saree that you may be itching to buy. And it will be even more disheartening to hear that their collections are very exclusive and limited. So you can’t take your own sweet little time to add their sarees to shopping cart. Still, you don’t have to lose hope. 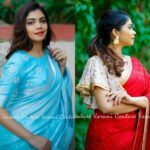 They are very regular in posting their designs on their instagram and facebook pages, so you can expect a lot more magical sarees in coming months. If you like to reach the brand, contact details are given below for your convenience. 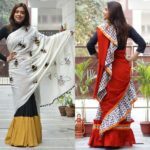 What are your thoughts on these sarees? Share it with us by dropping a comment below. The Designer Sarees You Have Been Waiting For! Next articleNew Arrival : These Dye Dupattas are to Die For! Love their collection. Tried to email them for a couple of sarees but no response. You cant reach with all the available mode of contact listed in your page. They dont even give you a courtesy reply.Disappointing! !